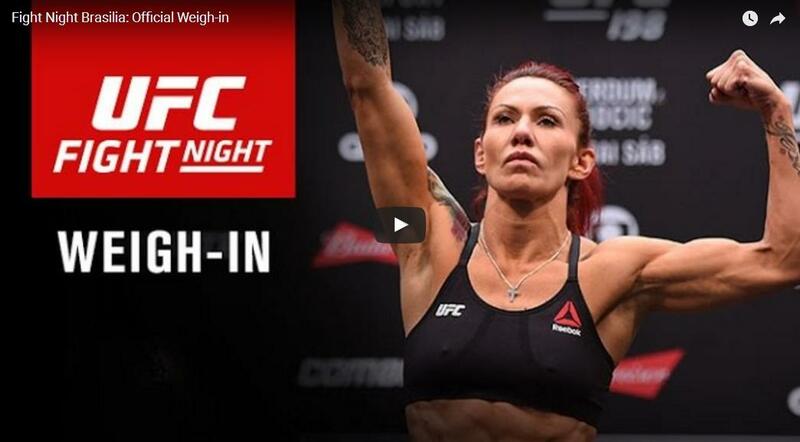 Watch the UFC Fight Night Brasilia official weigh-in on Friday, Sept. 23 at 6pm/3pm ETPT live from Ginasio Nilson Nelson in Brasilia, Brazil. Early weigh-ins were held this morning at the Windsor Plaza Brasilia Brasilia, Brazil for tomorrow night’s UFC Fight Night 95. The ceremonial weigh-in which you can watch above will be take place at 6 p.m. ET at Nilson Nelson Gymnasium in Brasilia, the same venue that hosts Saturday’s event, which airs on FS1 following early prelims on UFC Fight Pass.